Note: We are not accepting new applications at this time. Please contact us in the future for status of new applications. Non-scheduled performers may use first-come first-served. The Port of San Francisco welcomes Street Musicians and Street Performers to Fisherman’s Wharf. Live performances make a positive contribution to the culture and ambience of the Wharf. 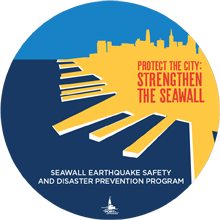 The Program covers the Port’s public access areas between Powell Street to Hyde Street and from the southern side of the Jefferson Street sidewalk to The Embarcadero and the Bay. The purpose of this Program is to manage the time, place, and manner of use of the 12 designated performance locations. The Guidelines and are set to ensure fair and equitable access for all performers while not interfering with the safe day-to-day operation of the Wharf. It is not mandatory to obtain a license to express yourself on Port property. The Program serves Street Performers including musicians, mimes, magicians, jugglers, human statues, dancers, and other forms of expression and any other activity protected by the First Amendment. It does not include non-permitted merchandise vendors. Nor does it include Street Artists who already have a permit program with the SF Arts Commission. The Program works by managing a License and Monthly Schedule Selection process with participants who agree to comply with the Guidelines and Rules. The benefit of participating in the Program is that licensed Performers can schedule their performances at designated locations and perform for longer time periods. They may also offer for sale performance-originated products. Licensed Performers may participate in a Monthly Schedule Selection meeting for the twelve (12) designated Performer Locations. There are four 3-hour time slots each day at each Location. Based upon a seven day week, one-third of the time slots will remain unscheduled and available for unlicensed Performers on a first-come first-served basis. Unscheduled performances are limited to one and a half (1½ ) hours if another unscheduled Performer is waiting to use the Location. This allows ample opportunity for both performer groups, licensed and unlicensed to perform. Each week there will be 224 3-hour time slots for licensed Performers and 224 1½ -hour time slots for unlicensed Performers. Licensed Performers may also use unscheduled Locations on a first-come first-served basis. Unscheduled Performers may use designated Locations on a first-come, first-served (FCFS) basis accessing those time slots remaining after the Monthly Schedule Selection process. This information will be available at each Location and on the Port’s website at www.sfport.com. Designated performance Locations are categorized by volume of sound allowed, size of performing group and audience, and sidewalk access for pedestrians. The Port may reserve, schedule, or revise the Locations and volumes as needed. All Performers are subject to the provisions stated in these Guidelines. Schedules and Guidelines will be posted at each Location and on the Port’s website. The schedule will be distributed to SFPD officers, Port security personnel, the Performers, and the Street Performer program administrator. A Performer is defined as an individual or group who performs in a public area, for the purpose of providing public entertainment and self-expression. Performing shall not include: (1) the provision of personal services such as hair weaving or massage; (2) the completion or other partial creation of visual art; (3) the creation of visual art which is mass produced or produced with limited variation or (4) the creation of handcrafts, (5) or activities regulated by the SF Health Department. This list of exclusions is not intended to be exhaustive.